Petros Fassoulas is the Chairman of the European Movement UK. He also published this article in The European View. As the debate about how to amend the eurozone’s governance architecture and at the same time deal with the sovereign debt problems of some eurozone and non-eurozone member states rages, the issue of growth and how to re-engineer the EU economy has not received the attention it deserves. With austerity and spending cuts being the main focus in the effort to consolidate public finances, investment as a growth-inducing instrument has been ignored. Reducing sovereign debt is indeed necessary for the medium and long term health of the EU economy and that of its members, but more and more voices are arguing that short term policies must focus more on growth, since austerity seems to have a counter-productive effect on the EU economy. Even the International Monetary Fund has recognised that, and, at a recent meeting in Japan, signalled a change in its pro-austerity discourse. Resistance though remains, especially from centre-right governments currently in power in most EU member states. Either due to ideological reasons or driven by fear of the ‘markets’, most EU states remain reluctant to pursue expansionary policies. But the EU itself can provide opportunities. The pooling of debt issuing will remove market pressure for individual member states, while reducing the cost of servicing current debt, releasing financial resources for both fiscal consolidation and investment programmes. The EU has been taking bold steps towards closer eurozone governance and budget co-ordination, which will reduce the risk of ‘moral hazard’. The sooner such steps are coupled with the mutualisation of eurozone debt, the better it will be for both the more and the less affluent member states. The EU budget is a vehicle that can help EU states achieve economies of scale. By combining spending at the EU level we can avoid duplication of expenditure at the national level, delivering this way saving for individual member states. The EU budget currently stands at about 1% of GDP, while member states are locked in negations on the next seven year budget (or Multiannual Financial Framework as it is affectionately called in EU circles) less attention should be given on capping it and more on how to target its spending towards areas with growth-generating potential. EU member states should even contemplate increasing the size of the EU budget, if spending is to go towards research and development, green technologies, telecommunications and the digitisation of the EU economy. Unleashing the potential of the single market is also very important. Building on the free movement of goods, services, capital and people, measures must be put in place to enhance labour mobility while also deepening the services side of the single market. Much has also been said about e-commerce and the EU has still a long way to go before cross-border on-line trade achieves its full potential. Proposals on how to unleash the digital potential of the single market are already being put forward and this is an area that can help the single market deliver more for consumers and businesses alike. Last but not least is trade. The EU is the biggest market in the world and that affords its members huge advantages when negotiating trade agreements with third parties. The growth potential of such agreements is enormous and the benefits for all EU member states are numerous. The recently signed South Korea Free Trade Agreement alone is expected to save European exporters £1.35 billion annually in tariff reductions. It is expected to benefit the UK economy alone by about £500 million per annum. 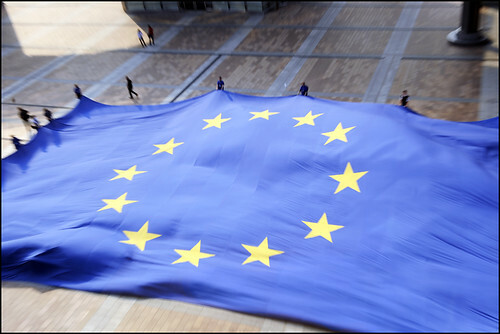 The EU is currently negotiating Free Trade Agreements with India, Canada and Singapore, among others. Completing all the bilateral trade deals now on the table could add £75 billion to Europe’s GDP. Despite the economic and debt crisis in some eurozone and non-eurozone EU member states, the means to assist the EU and its members to exit the current economic stalemate reside within the Union itself. It is up to EU leaders to look beyond their immediate challenges, assume a more holistic approach and take full advantage of the most successful project of economic and political integration European history has seen. The benefits are many for all those involved, not least the revitalisation of the project of European integration.